Organise your funeral in advance and take the stress away from your loved ones and fix it at today’s prices and never pay again no matter how long you live! Avalon Funeral Planning takes unnecessary worry and distress out of an already difficult time – which can be even more complex outside the UK. 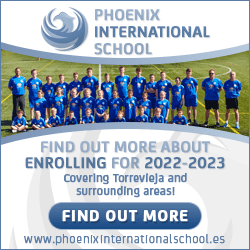 For example in Spain, where many British people have chosen to retire, if someone dies at home, the next steps can be very lengthy and drawn-out; firstly, under Spanish law the Guardia Civil (police) must be called and a doctor must be contacted. The doctor will then issue a temporary certificate – after which either the doctor or the police will contact a local funeral director to attend to the deceased. The attending funeral director (who may well not speak English) will ask for a ‘release form’ to be signed, which allows the deceased to be removed from their home – and in many cases this form is part of an official contract that does not disclose prices to be charged until after all the arrangements have been made. What’s more, this official contract gives you no control over either funeral arrangements or price. Clearly, these procedures could easily cause anyone huge stress at an already deeply upsetting time – so knowing that Avalon has already taken care of such matters can be greatly reassuring for all. Take the headache out of the heartache. Purchase a Pre-Paid Funeral Plan from Avalon and we’ll take care of all the arrangements. 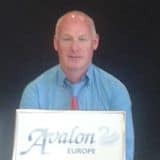 Contact your Mainland Spain Consultant – Peter McArdle 663 558 148 & mcardle.peter@gmail.com or from the above website for a Free No Obligation Consultation to see what suits you and find out how Avalon Europe Pre-Paid Funeral Plans will give you and your loved ones Peace of Mind. One Call Really Does It All! So, Remember that Investing in a funeral plan may seem a very daunting task. Planning ahead provides protection from rising funeral costs and relieves your loved ones of the emotional worry and stress of arranging your funeral when the time comes. Here at Avalon we’ve helped tens of thousands of people just like you. 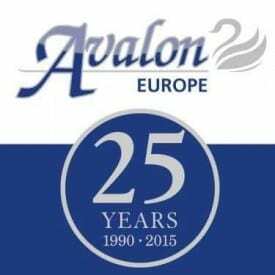 An Avalon Europe Pre-Paid Funeral Plan allows you to pre-pay and choose the type of funeral that you want in advance. It provides protection from rising funeral costs and relieves your loved ones of the emotional worry and stress of arranging your funeral when the time comes. By taking out a funeral plan with Avalon you will give you and your loved ones peace of mind and protection. Your plan guarantees both the Funeral Director’s Fees & Services and Disbursements at no extra cost to you or you next of kin, providing the funeral takes place in Spain, Cyprus, Turkey, Portugal, Malta, UK and is carried out by the Funeral Director stated on your funeral plan certificate. So, take the stress off your loved ones & pre-plan your funeral with our help.